Gorgeous white and pink Team Bride Balloons, perfect for creating a super trendy Hen Do set-up. 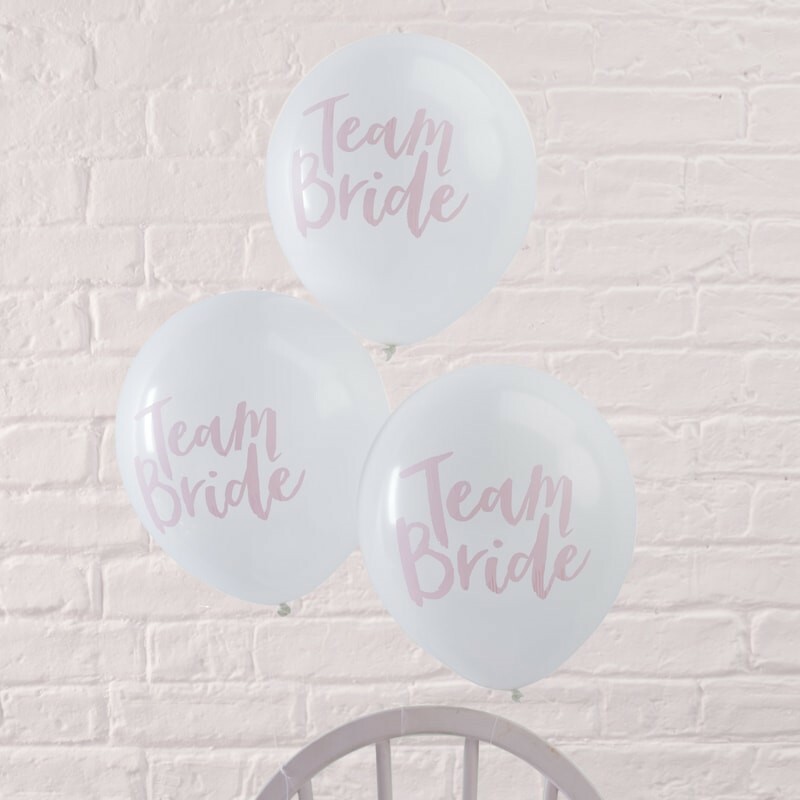 These fabulous balloons have Team Bride printed in a stunning font, perfect for a sophisticated Hen Party. Wow family and friends by using these gorgeous balloons alongside other Team Bride hanging decorations to create a classy and chic celebration - sure to be loved enjoyed and remembered by all. Each pack contains 10 balloons measuring 12" when inflated.